I don't know about your family but my family is super excited about the Summer Olympic Games in London this summer. My little boy even decided that he wants to have an Olympic party so I thought what would be better than hosting a London 2012 Olympic Opening Ceremony Party. When I was little, I remember getting together with other families for a fun evening of watching the opening ceremony combined with lots of snack foods. Here are a few printables that I have designed specifically for the London Olympic games including an invite featuring some of the top ten sites to see in London like the London Towers, Buckingham Palace, Big Ben and Piccadilly Circus. 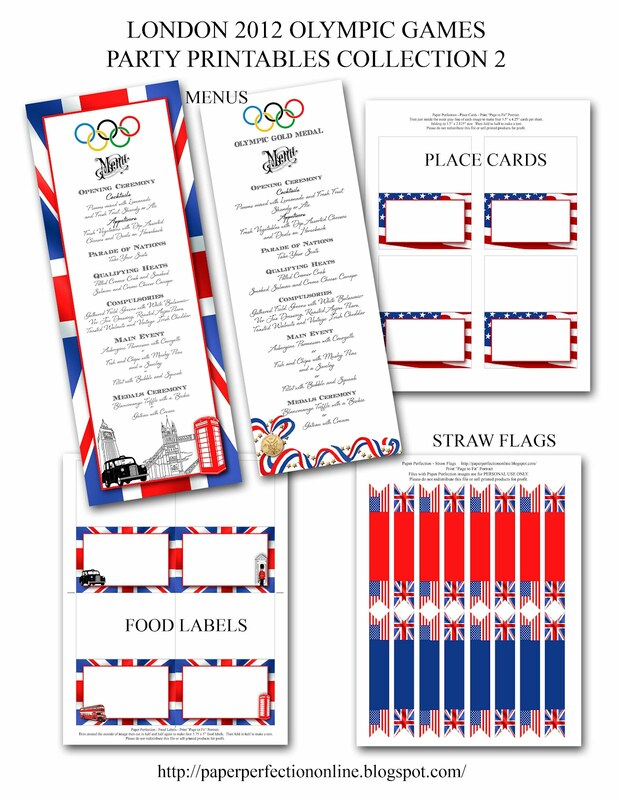 If your child loves sports as much as mine, I can also design more generic Olympic printables with utilizing the US flag like I did in some of the designs below for a birthday party. I'm also working on a few more fun things that I will post in the lead up to the Olympic games this summer. 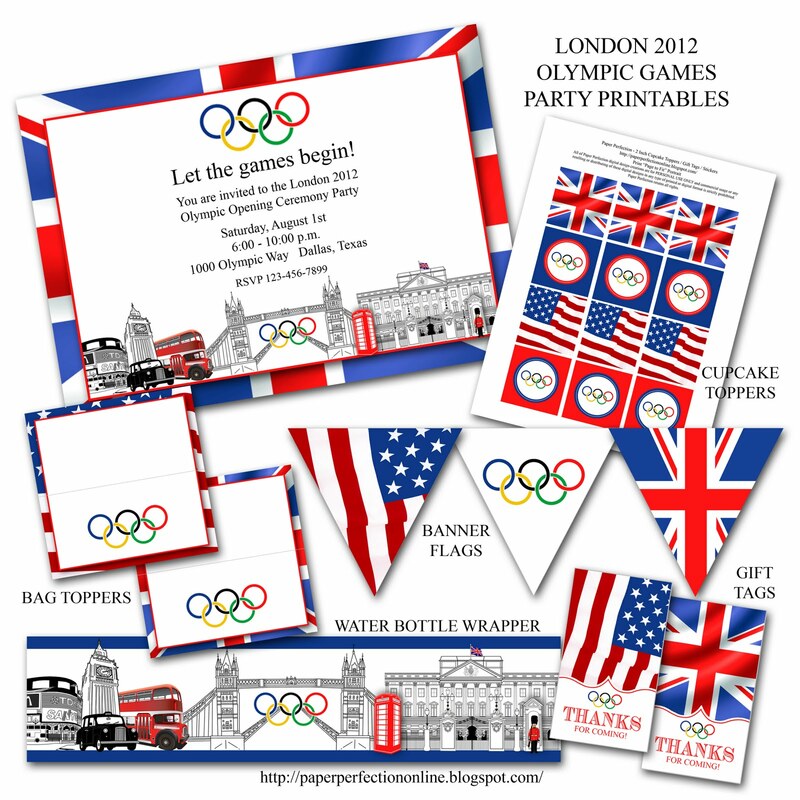 I couldn't resist making a few more items since there is plenty of time between now and the Olympics so here are a few more items. If you are like our family and really REALLY love the Olympics and plan on having an opening ceremony party but also might have a viewing party here and there for the different events. Here is another invition that you can use for additional events. These are awesome! Thank you for sharing them!